Marketing experts say that it takes 7 to 12 contacts to turn a prospect into a customer. Yet in our experience, many downtown’s fail to take advantage of the opportunities they have to get in front of customers – namely through signage that captures attention. Here are a few recent examples we’ve come across through our work that illustrate how signage can help raise awareness of both downtown and local businesses. 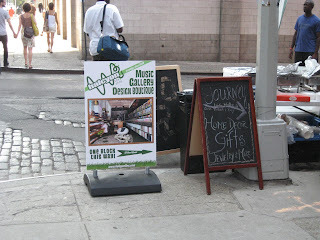 Visible signage is an important part of a business’ marketing strategy. Consider this – an exterior sign is visible 24 hours a day and 365 days a year – raising awareness of a business even when that business is closed. Yet some communities have over regulated signs – believing that fewer or smaller signs are in “good taste”. make distances seem much farther away than they are, keeping customers from walking down the street. 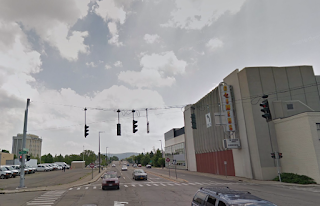 On the other hand, “blade” or “protruding wall” signs can help orient a pedestrian by giving them important visual cues that there are businesses down a corridor. 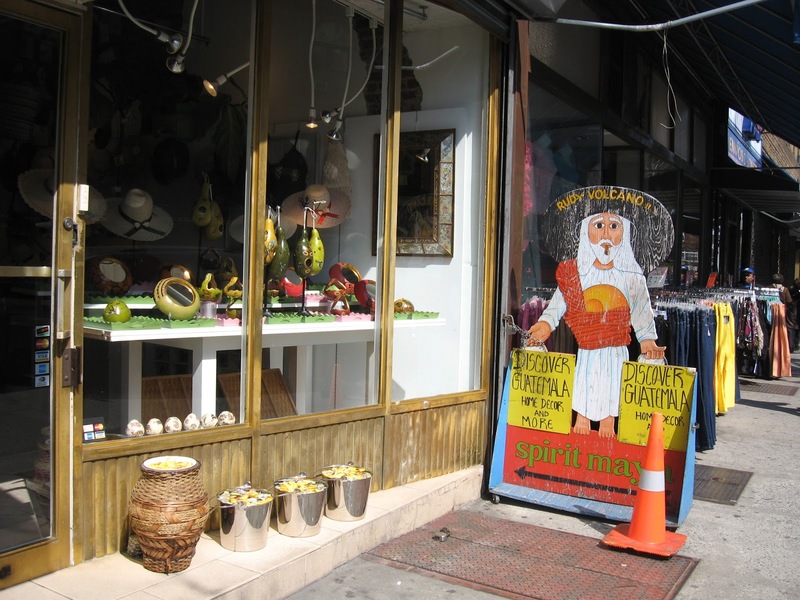 offering signs as a form of “breadcumb” that pulls pedestrians along the street in exploration of new stores. A downtown cultural anchor is a great asset – but what if most people don’t know it’s there? 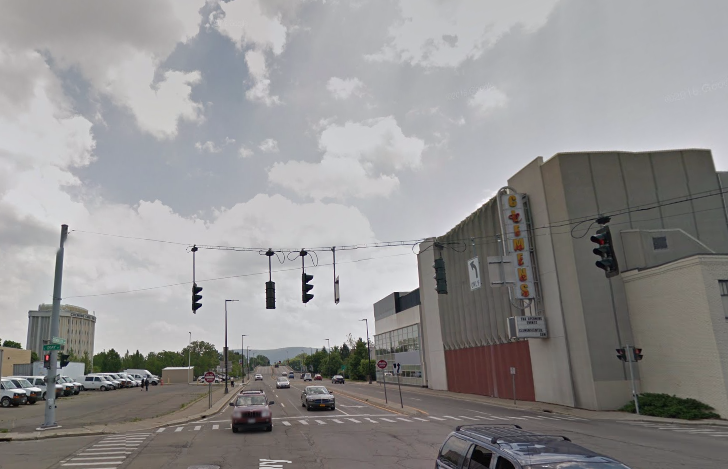 Can you spot the Marquee for the Clemens Center in downtown Elmira? Hint, hint – it’s on the right. During the daytime, this heavily trafficked road carries more than 12,000 vehicles. These are 12,000 daily impressions that are being neglected. 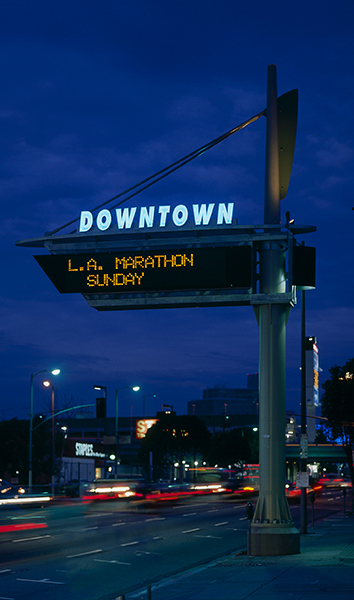 Cultural institutions in particular benefit from highly visible signs that also offer opportunities to promote upcoming events, like this gateway marquee marking the entrance to Downtown LA. A blank wall can be a great opportunity to help connect businesses with potential customers. 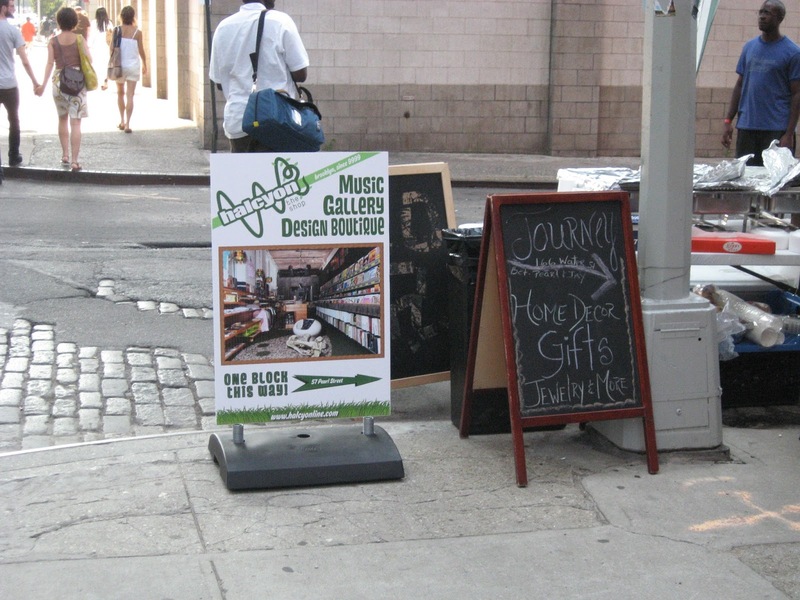 Many communities place restriction on sandwich boards without taking into consideration how effective they are at driving business to local stores. without noticing it. The lovely window display doesn’t hurt either. limit the places of A-frames to an area immediately in front of a business. Its stunning,astounding and amazing too.I 'm going to impart this post to my companions. Much obliged to you to such an extent. Keep it up !! Nice Post, Thanks For Sharing information. Carnick & Kubik is an independent wealth management, investment advisory, and financial planning firm in denver. To providing our clients with a direct approach to financial planning and retirement readiness. Nifty Realty index used to be the top gaining index among the many sectoral indices on NSE throughout the morning trading session on Thursday. The index was buying and selling better by using 1.19% at 273.05 degree. As a 35 year veteran of the sign industry I wholeheartedly agree with your comments. But for some reason a few Cities just do not understand the correlation between good signage and business success which translates into additional tax revenue. Wonderful blog post on safety signs. These signs are very important in many places and many safety sign boards are life saving. Was good to read. Thanks. Very good post. Many signs can be life saving as well. Safety sign boards are very important in many places. They are very significant in places such as factories, industries, construction site and etc. Thanks for the post. Very good post. Sign boards are very important for many places and most importantly for commercial businesses. With many new technology, signboard manufacturer in Navi Mumbai business has become very profitable.